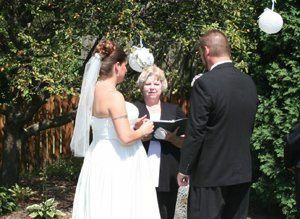 Joyful Promises provides wedding officiant services in Bolingbrook, Illinois and surrounding communities. 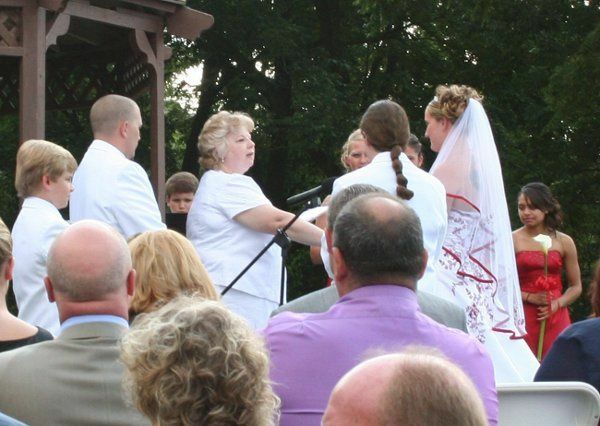 The officiant Marti Barton is passionate about providing you with sweet, romantic and heartfelt moments, creating memories that last a lifetime. 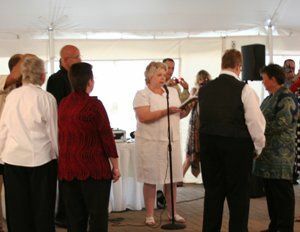 With expertise in a wide variety of traditional and non-traditional wedding ceremonies, Marti can accommodate weddings of all types and sizes. 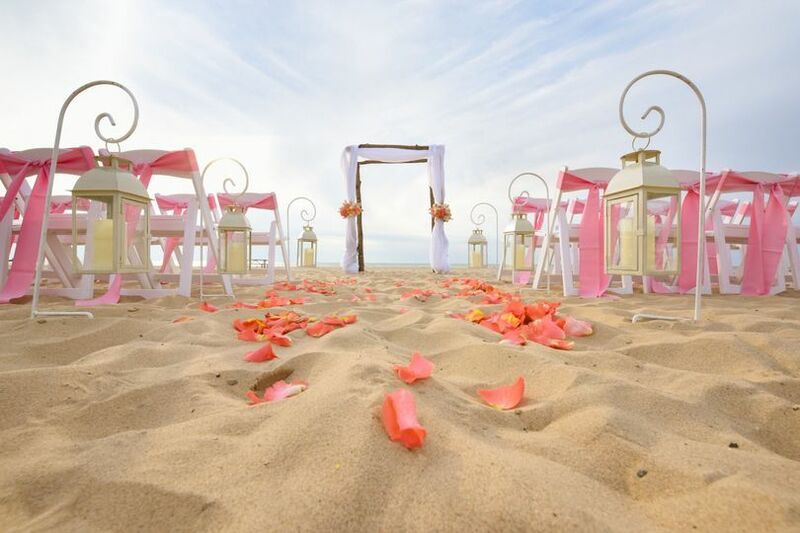 Joyful Promises uses a relaxed planning and ceremony approach so you have the peace of mind of knowing that you will enjoy the process free of stress from start to finish. 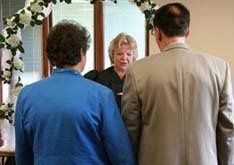 Wedding officiant Marti Barton has performed hundreds of ceremonies, with a range of traditions and rituals, since her ordination in 2010. 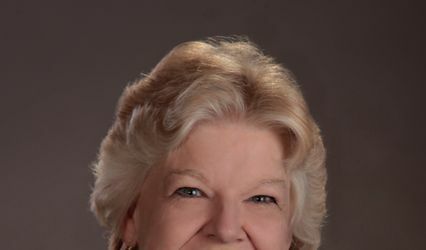 She is also a professional writer and an award-winning Toastmaster, so you know you will be in experienced hands when you entrust your ceremony to her. We had a great experience with Marti. From our first meeting, she was asking the right questions to make our ceremony just how we dreamed. 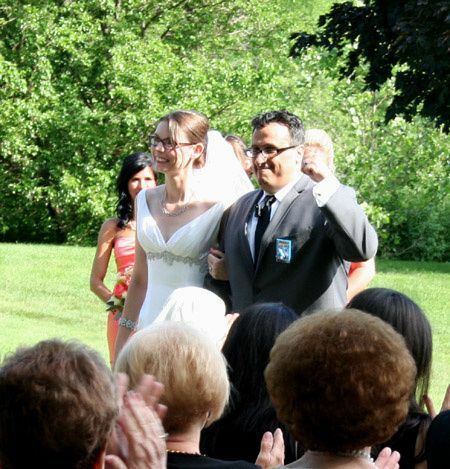 She was easy to work with and very responsive to questions, she also helped us create our own vows. Everything went perfect during the ceremony. It was a real pleasure to work with you and Greg to create your ceremony, and a privilege to be a part of your special day. What a beautiful home and garden! Thank you for choosing me to celebrate the beginning of your married life together. 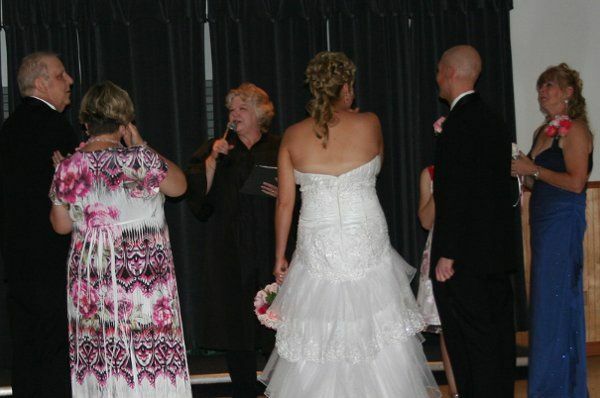 Marti did a great job officiating for our wedding. She kept the ceremony short, but sweet and enjoyable. She crafted it to reflect our traditions and beliefs. Marti was easy to work with and was one of the nicest people I've ever met. 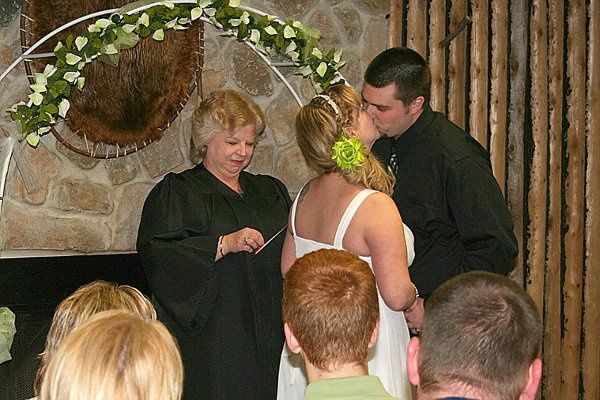 I would definitely recommend her if you are looking for an officiant for a wedding! Thank you for your kind words, Brittany! You and Andrew were a joy to work with, and it was an honor to be a part of your special day. Marti did a wonderful job writing and performing our ceremony. 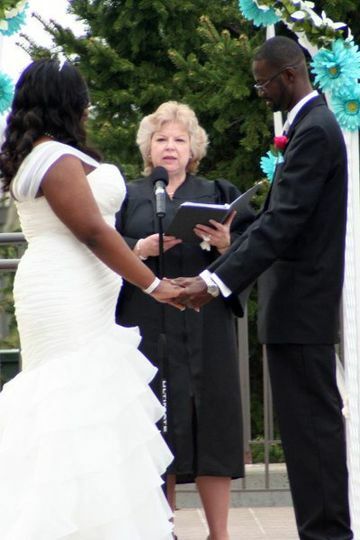 My husband and I didn't want anything religious and she was happy to make the ceremony be whatever we wanted. She gave us lots of good suggestions and helped wrangle our friends and family for the rehearsal-including my feisty dad who is a handful. Another bonus was that she was able to bring her own mics and speakers for our outdoor ceremony. It would have been impossible for our guests to hear otherwise. Her price was reasonable and she was willing to meet with us face to face to plan everything out. She did a perfect job at the most intimate part of our day. We can't thank her enough. Thank you so much for choosing me to celebrate your marriage, and for your lovely and kind words. You and Allen were a joy to work with, I enjoyed meeting your interesting family and colorful friends, and your dad was a hoot! 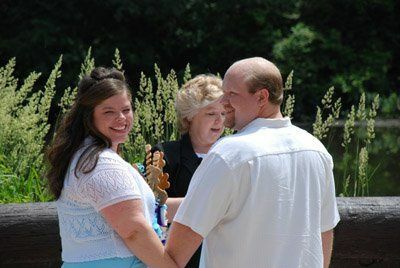 I'm so glad I was able to meet your needs and make yours a ceremony that truly reflected who you are as a couple. I was honored to be included in that most intimate part of of your wedding celebration.